Premier Lai Ching-te (賴清德) said Wednesday that Taiwan's overall ranking of 13th in the World Economic Forum's (WEF's) Global Competitiveness Report 2018 shows the government's efforts in pushing economic transformation and improving the investment environment have earned international recognition. Premier Lai Ching-te (賴清德) said Wednesday that Taiwan’s overall ranking of 13th in the World Economic Forum’s (WEF’s) Global Competitiveness Report 2018 shows the government’s efforts in pushing economic transformation and improving the investment environment have earned international recognition. Taiwan placed 13th among 140 countries in the latest Global Competitiveness Report released by the Geneva-based WEF. It also ranked fourth among 17 economies in East Asia and the Pacific, finishing behind Singapore (2nd overall), Japan (5th) and Hong Kong (7th) but ahead of Australia (14th), South Korea (15th) and New Zealand (18th). The WEF overhauled its methodology and scoring for this year’s competitiveness index to better reflect variables it felt are increasingly important in the changing global economy: human capital, innovation, resilience and agility. The WEF applied the new scoring system to last year’s results to draw comparisons and found that Taiwan’s ranking of 13th overall and fourth in the region remained unchanged. Its overall score of 79.3 rose 0.1 year-on-year, compared with gains of 0.5 for Singapore, 0.9 for Japan, 0.3 for Hong Kong, 0.8 for South Korea, 1.1 for Malaysia and 0.9 for China, which finished 28th overall. In a Facebook post, Lai said that among the 98 factors cited by the WEF in its assessment, Taiwan made the top 10 in 18 categories. Lai also pointed to Taiwan being ranked in the top spot in “macroeconomic stability,” where it was tied with 30 other economies with a score of 100 in the category, saying it showed the government’s effectiveness in maintaining price stability and fiscal management. Taiwan ranked fourth in innovation capability, he said, one of only four economies described by the report as a “super innovator” for having a score above 80 in the category, along with Germany, the United States, and Switzerland. The report showed Taiwan’s economic fundamentals are still sound and that the stable financial environment is favorable for investment, according to Lai. Meanwhile, the Cabinet-level National Development Council echoed Lai in saying that the report indicated that the policy of optimizing the environment for investment in innovation and startups and promoting innovative industries was a success. It pledged to continue to improve the investment environment and relax regulations to accelerate the development of startups in the country. 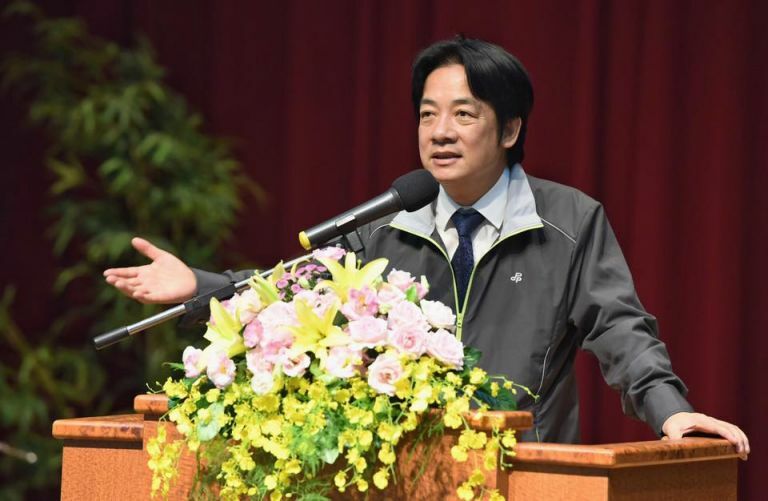 Deputy Economic Affairs Minister Kung Ming-hsin (龔明鑫) said Taiwan’s advantage in technology development and startup promotion is reflected in the report, but argued that the government should enact laws and regulations related to venture capital investment to help cultivate startups in Taiwan.